Ideal for newcomers to keeping chickens - not only do you get the birds and all the equipment needed, but you are encouraged to discuss your needs and have all your questions answered before you purchase and whilst you are getting used to looking after them. 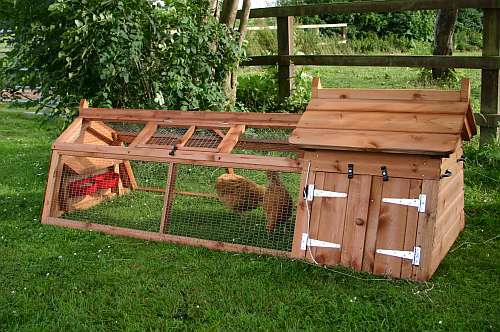 An adapted Thrippet with two hens. Please contact us for the current price of our starter packs.